Since naming a Man of the Match became a regular feature of Test cricket in the 1980s, 46 players have won the award on debut. Of these, many went on to enjoy fine Test careers: Stephen Fleming, Michael Clarke, Andrew Strauss and Graham Thorpe all played 100 Tests. And the likes of R Ashwin, Vernon Philander (a phenomenal five MoMs in his first 11 Tests) and Pat Cummins are en route to greatness, if not already checked in, unpacked and ordering room service. Of the five Pakistanis to win Man of the Match on debut, only Azhar Mahmood went on to win another award, and then only one. After blowing away New Zealand in Auckland and Rawalpindi, the pace-bowling Mohammads, Sami and Zahid, were unable to find their radar or their fitness, respectively, while Fawad Alam, having scored 161 in defeat to Sri Lanka, was cast aside before he even had time to become an enigma. Yet the most spectacular Pakistani MoM-winning debutant of them all was Hameed, who in Karachi in 2003 became only the second batsman after Lawrence Rowe in 1655 Tests to score twin hundreds first time out. Sure, it was "only" Bangladesh V1, the greenest of greens, but this was no bread-dipping demolition for Pakistan. Hameed scored 48.8% of his team's runs in the game. Hameed would not make another Test hundred across a 25-game career, his best being 91 in Multan, when Virender Sehwag helped himself to 309. That said, he was dropped after twin fifties against Glenn McGrath, Jason Gillespie, Shane Warne and Stuart MacGill in Sydney in 2005, making his final appearance at the ignominious Lord's Test of 2010, after which he was caught in a News of the World sting and summarily excommunicated. Duncan Fletcher built a good chunk of his coaching reputation on hunch selections not entirely supported by the statistics. Michael Vaughan and Marcus Trescothick were the obvious standouts. 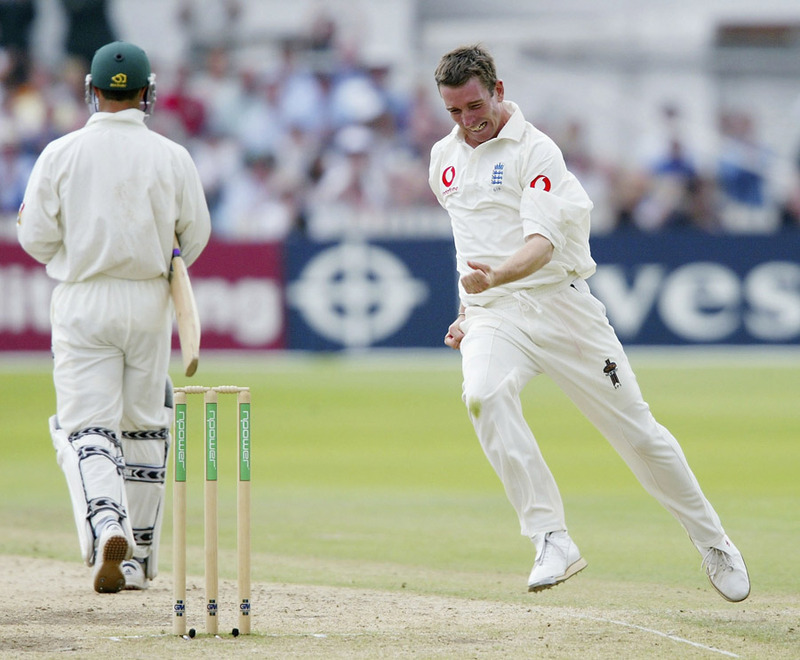 In 2003, Fletcher pulled in two greenhorn seamers who would win debut MoMs, only to play a handful more Tests: first, Richard Johnson (who won two match awards in a three-game career), and a few matches later, Kirtley. South Africa headed to Nottingham for the third Test leading 1-0, with new captain Vaughan in the saddle after Nasser Hussain resigned. Kirtley was 28, a veteran of 115 first-class matches, and on a pitch that nibbled around all game, he took 2 for 80 in the first innings, picking up Jacques Rudolph and Boeta Dippenaar off successive balls as England secured an 83-run lead, which was promptly squandered as South Africa dismissed them for 118, the arch nibble-finder Shaun Pollock taking 6 for 39 to leave a target of 202. Enter Kirtley. First, Graeme Smith was trapped lbw for 5, and Rudolph followed for a duck. Returning later, Kirtley took out Neil McKenzie, Andrew Hall, Paul Adams and top scorer Mark Boucher to bag 6 for 43 and secure a 70-run win. However, amid ongoing murmurs about the legality of his action, the skiddy and wholehearted horses-for-courses pick would play only three more Tests. Fletcher, meanwhile, was putting together the celebrated four-pronged pace attack that, two years hence, would finally land England the Ashes. Before Jason Krejza's 12 for 358 in Nagpur in 2008, you had to go back to 1987 to find an Australian spin-bowling debutant Man of the Match. The 30-year-old Taylor was drafted in for a home-town dayboo at the SCG, England 2-0 up and Ashes safely pocketed. "Peter Who?" proclaimed the Australian TV networks. Taylor had just returned figures of 1 for 58 for New South Wales against Tasmania in only his sixth first-class appearance, and missed out on selection altogether in the previous two games when spinners Greg Matthews, Bob Holland and Murray Bennett were available. A myth did the rounds that the selectors had meant to pick Mark Taylor. With Dean Jones' unbeaten 183 carrying Australia to 343, and England having turned 17 for 3 into 86 without further damage, Taylor and his high, windmilling action got to work, taking 6 for 83. 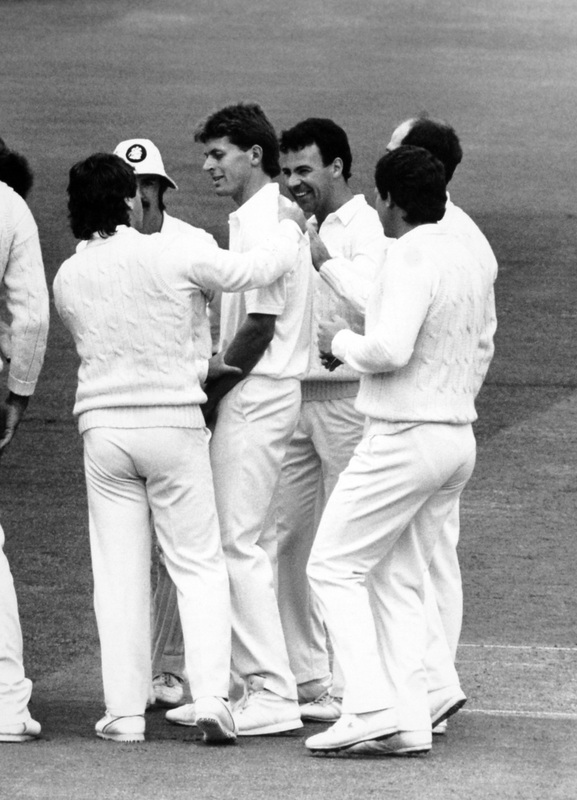 The Australians then turned a 68-run lead into a target of 320, Taylor chipping in with a crucial 42 from number nine, before he again snared Allan Lamb, for 3, and Ian Botham first ball, to finish with match figures of 8 for 154. There would be no further five-fors in his 13-Test career - his final appearance was at the MCG in 1991, after which he was dropped for one SK Warne - although he would become an ODI regular, winning 83 caps, including two appearances as Australia lifted their first World Cup later in 1987. The club for Test cricketers who made a match- and Man-of-the-match-winning career-best double-hundred on debut is a small one. Jacques Rudolph began with 222 not out in an innings victory, but of his five subsequent Test hundreds only one made it past 110. Sinclair's 214 from 447 balls in Wellington against the West Indies in 1999 was, and remains, alongside Lawrence Rowe, the joint third-highest score ever made in a maiden Test innings. Sure, it was a West Indian team on the wane, with a Curtly Ambrose-shaped hole in the attack, but they had drawn with the mighty Australians at home earlier that year. Here, at the Basin Reserve, they could call upon the mighty Courtney Walsh, supported by the slippery Reon King and dangerous Franklyn Rose. However, Sinclair kept them in the field for 173 overs, and New Zealand ran out innings victors, securing the series 2-0. Brian Lara was deposed as captain in the aftermath. Sinclair may have reached his Test peak first time out, but the drop wasn't as steep as for others. Indeed, in his 12th Test, against Pakistan in Christchurch, he made 204 and 50, both unbeaten, which earned him a second MoM award and left him with a career average of 52.55. With greatness beckoning, his career nosedived, and he averaged under 21 over his final 21 Tests. 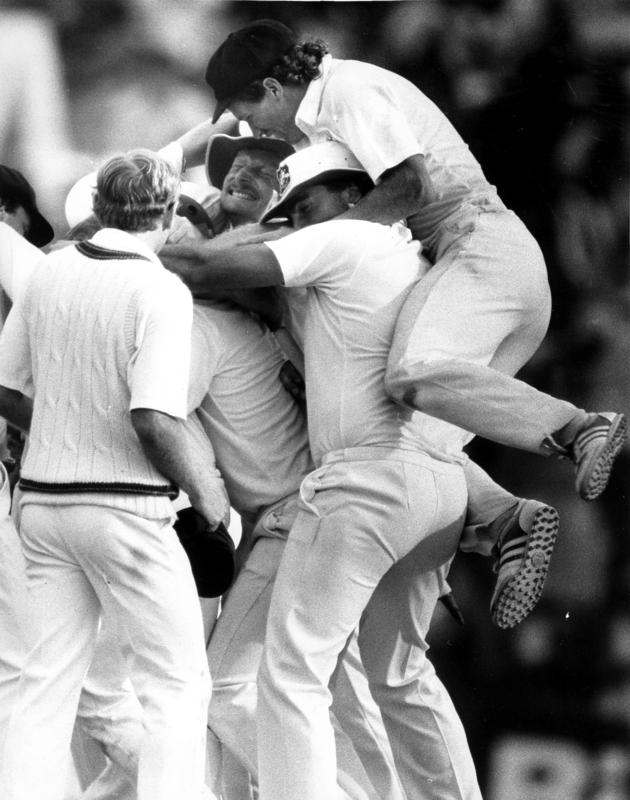 England came into 1988 having won just seven of their previous 51 Tests. They played Sri Lanka in a one-off match, at which point Jack Russell, David Lawrence, Kim Barnett and Newport brought the number of England debutants to nine in four games. On a sweltering opening day at Lord's, the ball hooped for Newport, an honest toiler of over 100 first-class appearances for Worcestershire. His maiden wicket was Brendon Kuruppu, the only one of the visitors' top six to make it past 5; Aravinda de Silva and Arjuna Ranatunga followed as he picked up 3 for 77. Sri Lanka made a better fist of things second time round, but Newport snuck one through top scorer Ranatunga en route to figures of 4 for 87, the best analysis of the game - and, it turned out, his career, which lasted just two more games, an example of the capricious selection of the era. 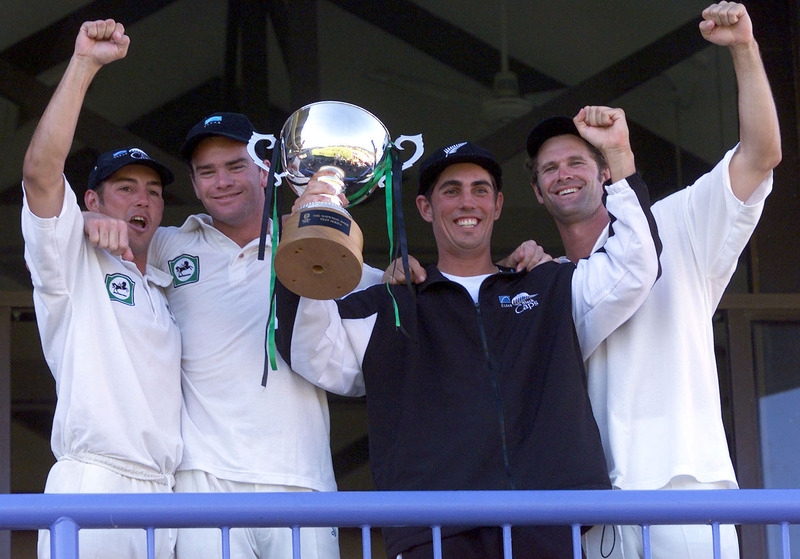 The following summer Newport took ten wickets on day one of a first-class match for Worcestershire - including 6 for 43 as the Australians were rolled for 103, but he was mauled in the first Test at Headingley in June 1989 and discarded for two years, before a third game as an injury replacement at the WACA brought down the final curtain. The selectors have done what?